Modern project management had its genesis in the field of operations research in the late 1940s, but today it is a much more diverse subject. It has evolved and developed a much wider range of methods, techniques, and skills that the project manager can draw upon. Not all these skills are relevant to every project, but an assortment of them will be relevant to most. This book aims to describe for students, researchers and managers the full range of skills that project managers can use to develop their methodologies.The authors group the skills into nine perspectives, representing nine schools of project management research and theory. By attaching a metaphor to each of these perspectives, students, researchers and managers are better able to understand each approach and decide whether it is best suited to the development of a strategy for managing their project. Perspectives on Projects builds upon the various theoretical orientations that the field of project management has developed. 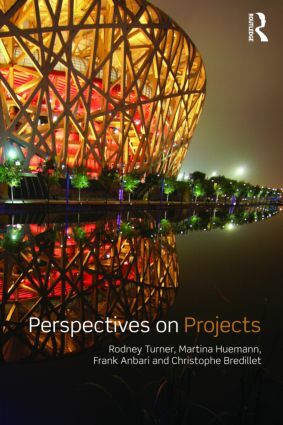 Featuring several case studies, drawn from a variety of settings, to illustrate how the different schools can provide different perspectives on projects, this book is an ideal text for anyone involved in project management.